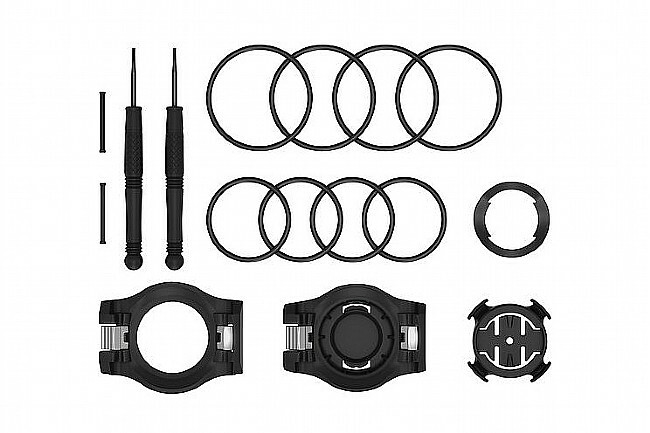 The Garmin Quick Release Kit includes everything that is needed for a Forerunner 935 GPS Running/Triathlon watch. Whether the seasons of use have added up, or you're just being a little cautious, it's not a bad idea to keep a spare bracket in your race kit. Includes quick release bracket, wrist bracket, bike mount, 2 pins, 2 screws, 6 bike mount o-rings, and installation screwdrivers.